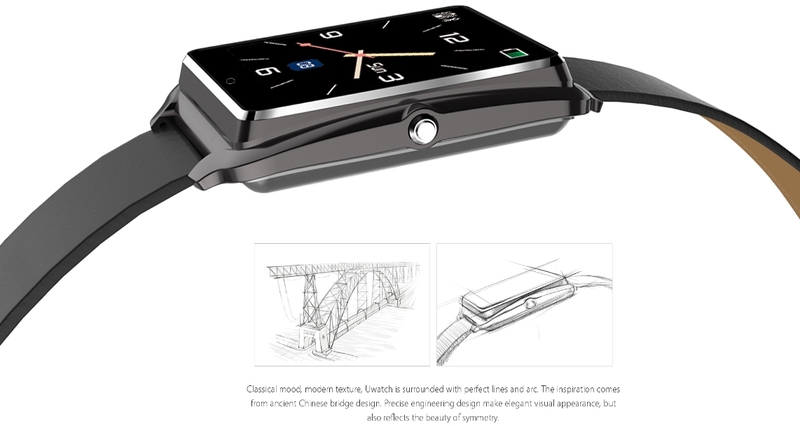 The 1.44-inch Uwatch will have a water-resistant steel case and retail for under $100 USD. Chinese manufacturers have successfully made smartphones more accessible and affordable by offering cheap alternatives to big name models. The trend is looking to continue as we move into the smartwatch sector as the Moto 360 and Apple Watch have proven to be moderately successful. 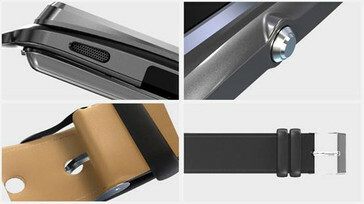 Simply called the Uwatch, the smartwatch from Bluboo will offer a metal unibody design in Black, Silver, or Gold. The steel case will be IP65-certified waterproof and will have a Micro-USB charging port. The device is designed to be compatible with both Android and iOS smartphones. Sensors and features include a pedometer, sleep monitor, and barometer. Unfortunately, the manufacturer is remaining quiet about the actual processor powering the device. Hard details on the SoC, RAM, and display resolution remain under wraps. Bluboo has not announced a price or exact release date yet either, but promises it to be less than $100 USD and a launch date before the end of the year.